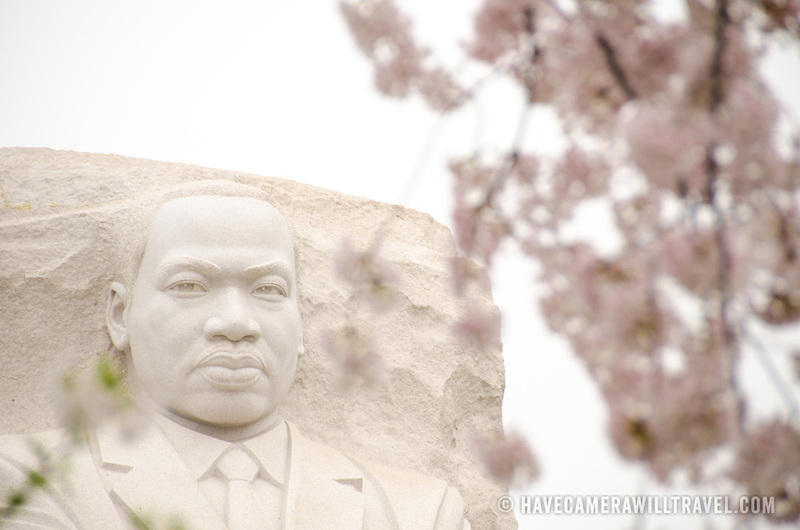 Dedicated on October 16, 2011, the MLK Memorial commemorates Civil Rights leader Dr. Martin Luther King Jr. It falls on a direct line between the Lincoln Memorial and the Jefferson Memorial and situated on the banks of the Tidal Basin. The centerpiece is a stone statue sculpted by Lei Yixin on which the figure of Dr. King emerges from a block of stone called the Stone of Hope. Each spring the cherry blossoms on the tidal basin burst into bloom.